This large country family dwelling is nestled into a steep north facing slope. It's linear arrangement of spaces across two levels are separated by an enfilade of 7 outdoor rooms that provide different functions and aspects. 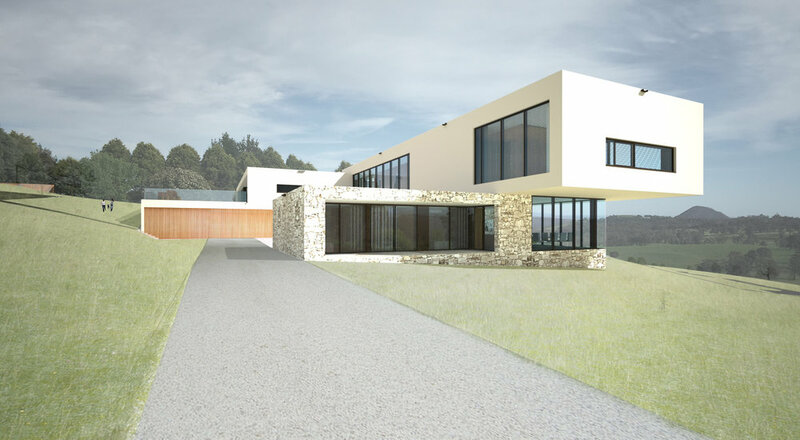 The house incorporates geothermal heating and cooling with an extremely thermally efficient envelope that will ensure that the house has a low carbon footprint.